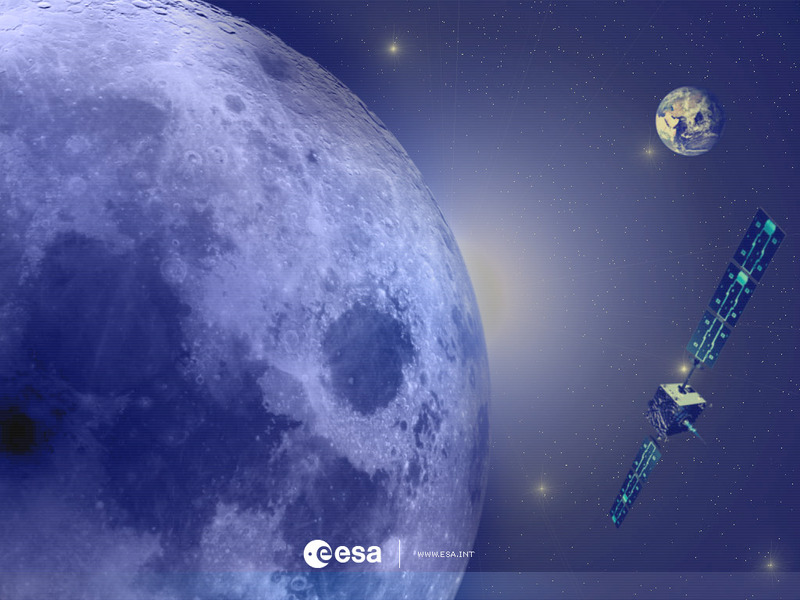 ESA's SMART-1 moon mission has become a bridge to the future of lunar science and exploration. "SMART-1 data are helping to choose future landing sites for robotic and possible manned missions, and its instruments are upgraded and being flown again on the next generation of lunar satellites," says Bernard Foing, ESA SMART-1 Project scientist. "Even its spectacular impact campaign is helping NASA to plan their own moon crash." SMART-1's mission lasted from launch on 27 September 2003, to its controlled impact on the Moon on 3 September 2006. During that time, the mission’s innovative approach to technology and science created new solutions to old problems that are now being carried forward to the next generation of lunar missions, in line with the recommendations of the International Lunar Exploration Working Group (ILEWG). The miniature camera, AMIE, weighed just 2 kilograms yet the images it returned are being used to choose possible landing sites for future missions. The choice of landing sites depends upon criteria such as the scientific importance of the area, the ease of landing and operation and, if it is to become a human base, the availability of lunar resources. SMART-1 has imaged Apollo and Luna landing sites, and potential possible landing sites for humans at the lunar poles. To follow up the technological breakthroughs of SMART-1, ESA is providing three instruments for the Indian Moon mission Chandrayaan-1. Two are direct descendents from SMART-1: the infrared spectrometer, SIR2, and the X-ray spectrometer, C1XS. The third (SARA) is a precursor to an instrument that will fly on ESA's Bepi-Colombo mission to Mercury. ESA and European scientists are also collaborating with the Japanese, who are currently preparing the large lunar spacecraft, Selene, which will launch this year carrying two subsatellites and 300 kilograms of sophisticated instruments. During SMART-1's mission, ESA provided the Chinese with details of the spacecraft's position and transmission frequencies, so that the Chinese could test their tracking stations and ground operations by following it. This was part of their preparation for Chang'E 1, an orbiter due to be launched in October 2007. SMART-1 experts are collaborating with NASA to prepare for Lunar Reconnaissance Orbiter (LRO) that will provide new imaging, radar and other key measurements needed for future exploration of the Moon. LRO is due to be launched at the end of 2008. ESA is sharing the experience of SMART-1's impact campaign to help prepare the Lunar Crater Observation and Sensing Satellite (LCROSS), which will be launched with LRO. The LCROSS shepherd spacecraft will watch the spent upper-stage of its rocket crash into a dark lunar crater, hopefully releasing water vapour and thus proving that ice exists on the lunar surface. "Having flown SMART-1, we have now established collaborations with other countries that will help to take us into the future of lunar exploration," says Foing. Bernard Foing explained SMART-1's legacy to the Symposium: "Why the Moon?" at the International Space University at Strasbourg, France, on 22 February 2007.